Get your holiday shopping done right here in Oak Hills and support local artisans and craftspeople. 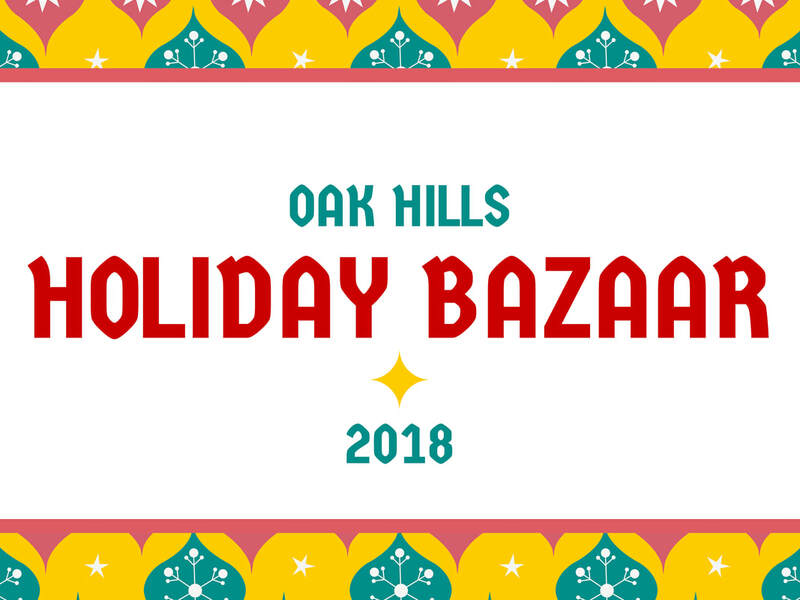 The Oak Hills Holiday Bazaar returns with handcrafted goods and original art made by Oak Hills residents and neighbors. This year's event will take place in the gym and community room at the Recreation Center. 2018 Vendor Registration is OPEN for Oak Hills residents and sponsored artisans. After Oct. 15, vendor registration will open to all applicants. (1) Download and complete the Vendor Registration Form. (2) Submit via email to officeohha@gmail.com or in person at the Oak Hills Gym Office (Sun. 3-5pm, Tues. 5-7pm). (3) Pay registration fee online or personal check (payable to OHHA, submit with registration form). ​Contact Allene Ryan (officeohha@gmail.com) with any questions.